I usually don’t write posts this long, so I hope you’ll stick with me and read to the end. Reading other blogs this month I have learned there is considerable controversy regarding October and Breast Cancer Awareness month. Before my diagnosis earlier this year, I had no idea there was any controversy about this designation. I never even considered how such a thing could be controversial. I mean how could awareness ever be a bad thing? Since my diagnosis, I have been thinking about a lot of things I never thought much about before. A cancer diagnosis changes how you think about everything. So now I am reevaluating “Pink October “ as well. It seems many cancer survivors are completely turned off by this “pink campaign.” No, actually they are darn right ANGRY! They believe it is a commercialization of breast cancer. It’s certainly true many businesses use “the cause” as simply another means to self- promote in order to make yet more money. Pink October is just another advertising opportunity. For example, some companies give the impression of giving generously when in fact; they are only donating pennies per item sold. Others donned in pink are selling food products not conducive to a healthy diet, inadvertently contributing in at least some way to causing certain cancers, not preventing them. Some people even believe the pink campaign has hurt breast cancer research, treatment and survival rate progress. Treatments and survival rates haven’t improved much they maintain. We are in a rut, so to speak. Everyone is AWARE of breast cancer and now we must get on with the next phase – DO MORE to get rid of the disease. Still others want more accountability for how research dollars are spent as well as specific goals as to what should be researched. Others bring up the necessity of bringing more awareness to different types of breast cancer such as metastatic and inflammatory breast cancers. Then, of course, there are cancer survivors who can’t seem to get enough pink. They see any attention/awareness as a good thing no matter what. They wear, buy, promote and display as much pink as they possibly can. The more pink ribbons they see the better. At least all the pink gets the disease attention and might make people stop and think about breast cancer. There does seem to be pink everywhere in October – pink ribbons, pink t-shirts, pink POTATO CHIP bags, pink jewelry, pink shoelaces, pink lights on bridges. The list goes on and on, in fact, just about anything imaginable can turn up pink this month. Even watching an NFL football game last week, I noticed pink arm bands, pink ribbons on the field, pink stripes on coaches’ caps and jackets and even pink something or other on the players foot gear. I couldn’t help wondering how much they spent on all that stuff. Even I had to admit it was over kill. It was actually down right distracting. I’m still trying to figure out where I stand on this issue of October pinkness. I guess right now I’m kind of on the fence. I would, however, like to make a few points. 2. We need to be careful to not turn off supporters. We need the dollars that do come in. Like it or not, money drives just about everything, including cancer research. 4. Many businesses mean well and believe they are doing the right thing, so let’s not lose their support by sounding too abrasive and unappreciative. Let’s educate politely about how they might improve their efforts. 5. Sometimes we need to step back a bit. Perhaps breast cancer survivors are too close to the front lines and cannot be entirely objective. 7. Perhaps changing the month’s designated title to something else like Cure Breast Cancer Month would help, or maybe one month for all cancers, for unity sake?? 8. You can and should give to organizations you believe in that are legit while encouraging others to do the same. 9. If you don’t like the pink stuff, don’t buy it. 10. Most importantly, let’s not let the controversy divide us. We need to stick together to ultimately reach our common goal – eradicating breast cancer. All of this discussion has certainly caused me to think more about pink October and thinking is always good, right? Thanks for reading to the end. What are YOUR thoughts and opinions about October’s Pink Commotion? Teresa, You are so right to remind me about pink just representing support. I, too, love any pink gifts I receive from people trying to show their support. Sometimes I think we read too much into everything. I was truly surprised by the controversy; I really had no idea. I’m sure the NFL’s intention was merely to show support as well, but it just looked over done, but that’s kind of the nature of our society – the more is better attitude. Thanks for sharing your comments. I always look forward to them! Very interesting post! I think it was a big step for the NFL to have it’s players wearing some sort of pink item, to me it says “We are the toughest guys in America and we’re not afraid to wear pink and show support of breast cancer awareness!” Think of all the attention the NFL is giving to breast cancer. What kind of attention they are bringing is always debatable. I think it’s great to support breast cancer awareness, but at what point is it just a bunch of people wearing pink and we stop being “aware” of it? Personally, I think most people are very aware of different types of cancer, and I think we should focus more on education and prevention than awareness. Lastly, I think that giving someone a personal gift that shows support of breast cancer would be much more meaningful than wearing pink shoe laces. Amanda, Thanks for your perseptive comments. I agree we need to get beyond awareness and focus more on education, prevention and cure. In short, we need to move forward. I like to look at “all the pink” as a way for businesses to show support. I wasn’t bothered by the NFL players wearing pink. I’m sure many of them know someone with breast cancer or someone who has had breast cancer. I do laugh to myself when I walk through the grocery store, though. Pink chip bags? Really? Pink cookies? It’s definitely just another way to market your product. Lindsay, I liked the NFL showing support, too, I just thought it looked over done. I wonder if they donate any money directly to research?? I hope so. I agree the pink packaging is just another marketing tool. This is a hot button issue for many in and out of the breast cancer community. I appreciate your outlining different perspectives for your readers to consider as opposed to wagging your finger. That’s hard to do sometimes. Brenda, You are so right. Cancer survivors are not a quiet bunch and it is hard at times to not be “preachy.” Thanks for reading and taking time to comment. Your insights are always appreciated. Really appreciate your take on Breast Cancer Awareness Month. You made so many valid points. When I was first diagnosed with breast cancer and the pink stuff started to arrive, it all ended up in a pile in the back of my closet. I decided early on that I never wanted to be defined by my cancer. The driving force for me became having a site where we women would provide support for one another and for those who are the caregivers and family and friends of those with any kind of cancer. It is just so frustrating when you can’t take on someone else’s fight. That was the beginning of http://www.letlifehappen.com. Sometimes that support is contributing to those who want to walk for the cause and need to raise money for that purpose. And while I know that money is needed for research, I have focused on those fundraisers where money is being raised for testing for those who cannot afford the costs of those tests. So if it takes a flurry of pink for a month to remind people about the cause, I don’t mind seeing it everywhere because the only way that we can win this war is if we all work together. Barbara, Thank you for reading my blog and commenting as well. I really appreciate all feedback. It sounds like you are really doing a lot of good through your efforts to help other women survive breast cancer as well as domestic abuse. Those are truly things to be proud of! Keep up your good work. How true! 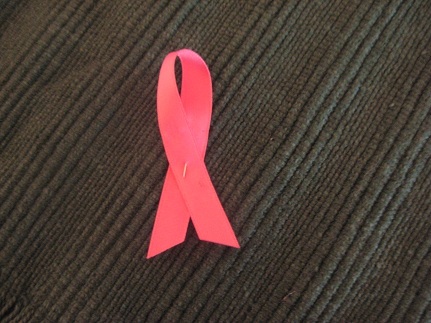 I may have my own reservations about the pink ribbon movement, but I respect everyone’s right to their opinion. All I ask is that people question and reflect and come to their own decisions about such things. This was a wonderfully balanced post Nancy! Marie, Thank you for reading my post on October Commotion and commenting so positively as well. It’s hard sometimes to not be judgmental on these “hot” topics. I think that is one reason your blog is so successful – you are always very mindful of respecting the viewpoints of others. You don’t force your opinions. Briefly, I was happy to be told at the time of my diagnosis that if you are going to get Ca, breast Ca is the ‘one’ to get. What does that mean? 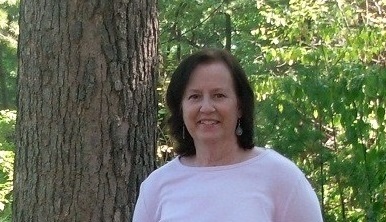 I now reflect on the fact that since 1978 my late husband, or myself, have had cancer for all but 2 years of that time. I know and understand the battle. Are we any further advanced with all the money that has been poured into research over the years. My treatment has probably caused as many problems as the disease itself. I find it interesting that I have chosen to ‘speak’ freely on your page as it is something I have not done previously. My best wishes for your continued recovery. Chez, I’m happy you came to my blog, took time to comment and chose to “speak freely” as you said. That’s a good thing! Hope you’ll be back. Yes, I’ve heard it said, too, that breast cancer is the one to get if you’re going to get cancer. Sorry you have been dealing with cancer for so long – the disease and the treatment – I get that. Emily, I am delighted the guest post led you here as well. Thank you for taking time to find my blog and comment. I really appreciate your kind words and hope you’ll be back soon!